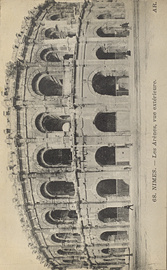 Exterior View of Les Arenes, Nimes, France, postcard. 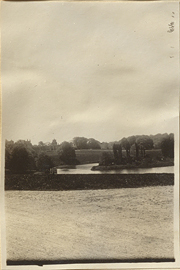 Field with the River Glyme in the background, photograph. 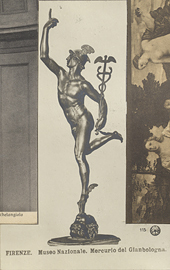 Figures standing at a fence on Merton St., print. 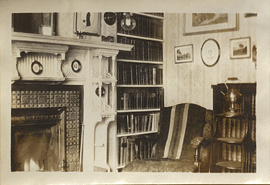 Fire place at 44 Oakthorpe Road, photograph. 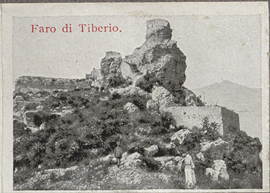 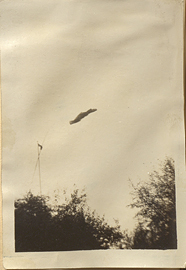 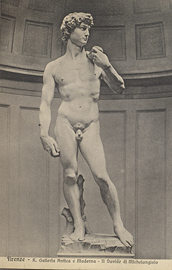 Firenze, Museo Nazionale, Mercurio del Gianbologna, postcard. 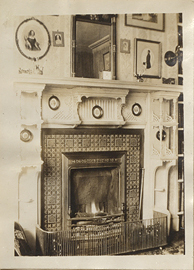 Fireplace at 44 Oakthorpe Road, photograph. 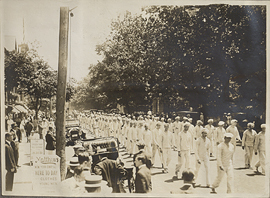 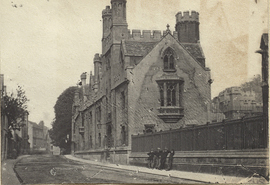 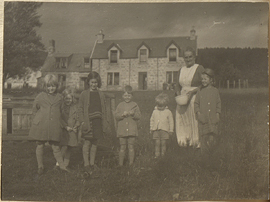 First Class of '13 reunion, 1914, photograph. 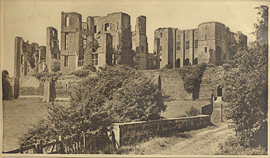 First Glimpse of Kenilworth Castle, print. 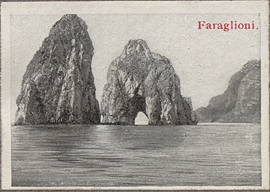 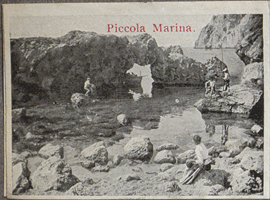 Fishing on the rocky shores of Piccola Marina, miniature photograph. 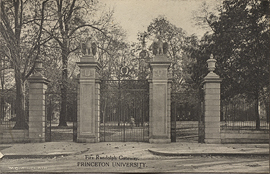 Fitz Randolph Gateway, Princeton University, postcard.